Having a wireless network that provides a fast and reliable connection improves the customer experience and will pay dividends in the form of customer loyalty and increased sales. A NYC area IT consultant and MSP, shares a number of tips to help retailers improve the performance of retail customer Wi-Fi systems claiming that better Wi-Fi service leads to increased customer satisfaction and sales, greater loyalty and enhanced reputation. In a new article on the eMazzanti Technologies website, the company discusses the impact of poor Wi-Fi performance, including abandoned sales, decreased loyalty and bad reviews. The technical tips that follow give retailers a number of options to improve the reliability and speed of in-store customer Wi-Fi technology. “Wi-Fi networks are complex and dynamic systems. A number of factors may degrade or improve performance. Expert assistance may be required to obtain the best results,” the informative article begins. Get Sufficient Bandwidth – Retailers must have enough bandwidth to support customer Wi-Fi, mPOS systems, wireless printers and high-bandwidth Internet of Things (IoT) devices such as video surveillance, beacons, digital signage and dressing room sensors. Use Commercial-grade Equipment – Routers, switches and wireless access points designed for home use are not adequate to provide the throughput and security required in a retail environment. Locate Access Points Properly - Locate access points away from steel sheeted walls, pipes, electrical equipment or bricked areas that create dead zones. Access points should be at least five feet above the floor in the open or on the ceiling, not in closets or cabinets. Eliminate Channel Interference – Interference from other devices operating on the same frequency causes the majority of performance problems reducing throughput by 50% or more. Most ISP’s modems have Wi-Fi built in that defaults to on. Make sure that it is turned off. eMazzanti Technologies is a single-source retail technology provider. Moving beyond the tips regarding customer Wi-Fi in the website article, retailers can explore the company’s payment technology solutions on the tech consultant’s site. 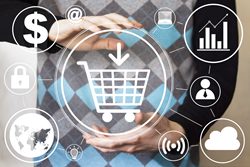 The informative website connects retailers with a complete offering of retail payment solutions, including POS systems, PCI compliance, payment gateway, IT security, Ecommerce, merchant services, mobile POS devices and cloud-based IT services. Other eMazzanti offerings include network infrastructure, network and wireless data security, network management, retail outsourced IT and IT consulting services to retailers and others. eMazzanti’s team of trained, certified IT experts rapidly deliver cloud and mobile solutions, multi-site implementations, 24×7 outsourced network management, remote monitoring and support to increase productivity, data security and revenue growth for clients ranging from professional services firms to high-end global retailers.